Eager to show heart in a moment of crisis, President Donald Trump handed out hot dogs, hugs and comforting words in the Carolinas on Wednesday as he surveyed the wreckage left by Hurricane Florence. 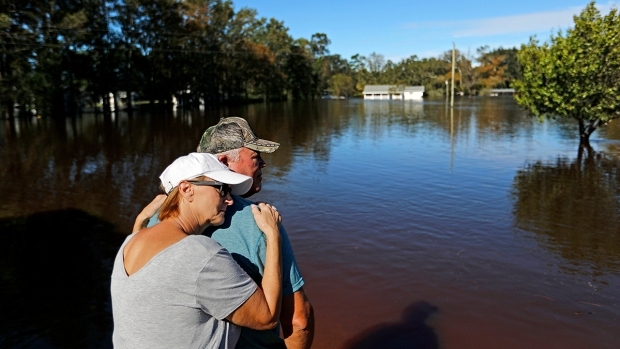 During a packed day, he visited both North and South Carolina, distributed meals at a church, walked amid piles of sodden furniture in damaged neighborhoods, offered hugs and handshakes to residents and discussed the response efforts with local and state officials. There were still flashes of Trump's outsized persona — he asked about the status of Lake Norman, where he owns a golf club, telling officials, "I can't tell you why, but I love that area." He was also caught on camera telling a person to whom he had just handed food to "have a good time." 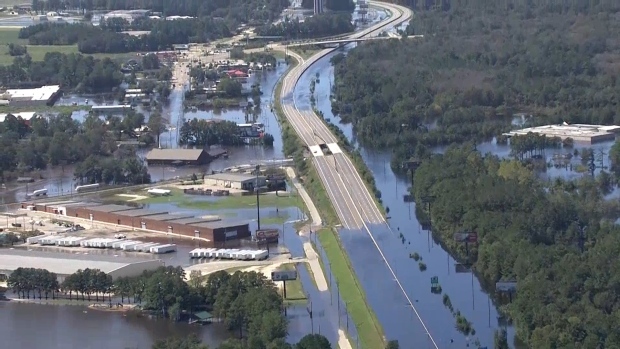 Still, the whirlwind tour through the Carolinas showed Trump reaching out to connect with those reeling from a storm blamed for at least 37 deaths in North Carolina, South Carolina and Virginia since coming ashore Friday. North and South Carolina both backed Trump in the 2016 election, and the president largely saw people who were happy to greet him. One man told the president he'd named his dog after Trump. 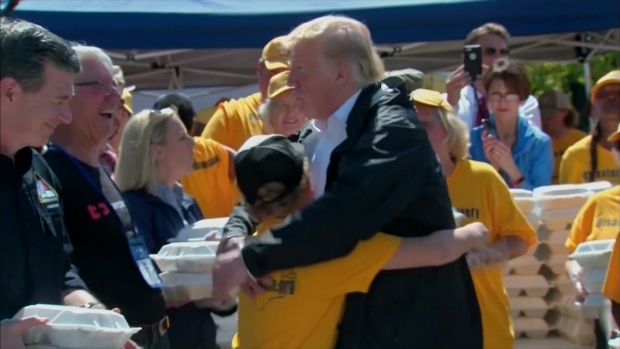 After a briefing on the recovery effort, Trump helped hand out hot dogs and chips at a Baptist church in New Bern, a riverfront city that experienced severe flooding. The president leaned over and checked in with people as they drove through to pick up food. Trump's motorcade then drove through a storm-damaged neighborhood where waterlogged sofa cushions, mattresses and downed trees were piled up along streets and boats lay on their sides after washing up along a grassy shore. At Horry County's emergency operations center, South Carolina Gov. 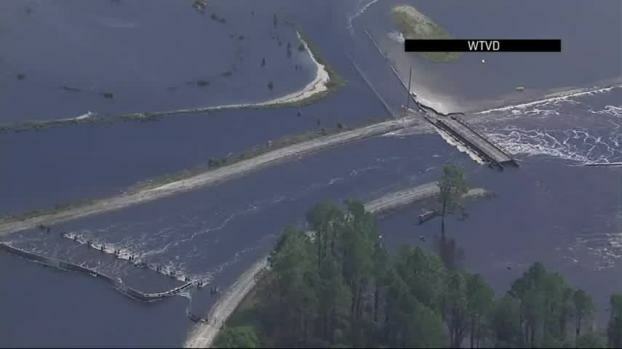 Henry McMaster said the storm had likely been the worst disaster in the state's history, but warned it wasn't over yet. "We will be there 100 percent," pledged Trump, wearing a wind breaker and khaki pants. "All of the folks from the federal government that are around the table are confirming it." "He promised 100 percent support and we're going to hold them to it," he said of Trump. Before that, Trump's trip to Texas after Hurricane Harvey generated blowback for his failure to meet with victims of the storm. Four days later, he returned — and urged people at a Houston shelter to "have a good time." He also cheered on volunteers and emergency workers and handed out hot dogs and potato chips to residents. Some critics said the president's trip took on the tone of a victory lap for successful disaster management.